In the competitive amiibo metagame, Sonic was previously thought to be a horrible character with zero potential. 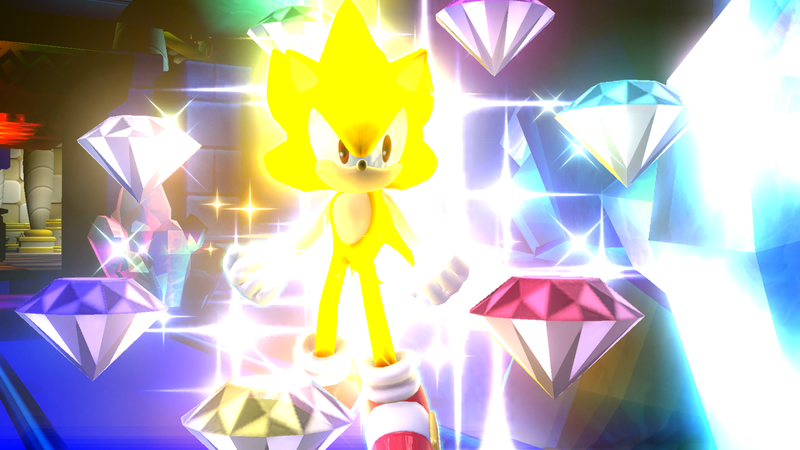 This was eventually proven wrong when many trainers opened their hearts to this fighter and gave him a shot – and as it turns out, Sonic does have potential after all. He possesses a speedy set of smash attacks: his forward smash is a wind-up punch with high knockback growth and deceptively long range, while his up smash and down smash are weaker options that still come in handy in specific situations. 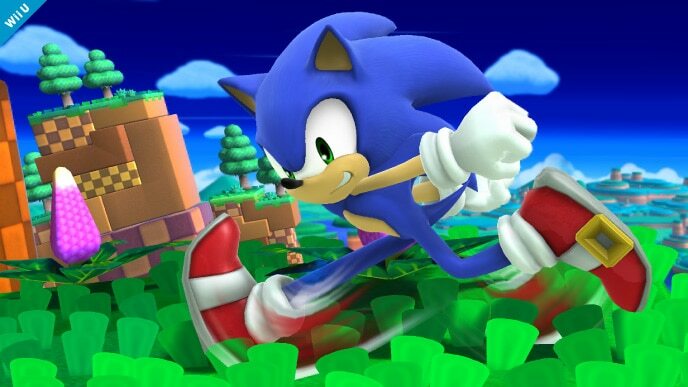 Sonic’s tilts and jabs are quick, low-risk moves that help him rack up damage quickly. He’s also got a decent recovery that grants acceptable vertical distance. For better or worse, Sonic’s amiibo tendencies line up perfectly with his own personality – he likes to do things his own way and sometimes makes rash decisions that end in harsh consequences. One of these rash decisions is the fact that he persistently tries to combo using Spin Dash and Spin Charge, but fails miserably and gets punished in return. He’s also insistent on using up throw to Homing Attack, but this never works against any opponent. For whatever reason, this ineffective combo is hard-coded into Sonic’s AI, meaning there’s no way to get him to stop without the help of custom moves. 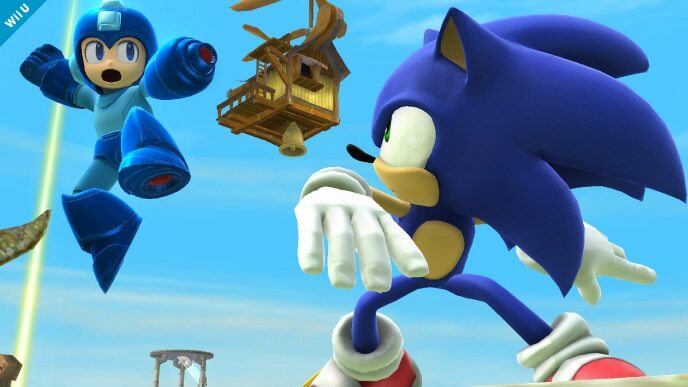 Sonic also doesn’t like staying grounded; he tends to overuse his aerial moves (forward aerial most of all). His attacks, save for his forward smash, are somewhat weak, and he often struggles to KO even injured opponents. You know what they say, “live and learn”. If you haven’t heard that expression before, it’s what you say when you learn a valuable lesson from an otherwise unpleasant experience. This phrase sums up Sonic’s amiibo quite well: in the early days of the metagame, he was seen as a hopeless character whose flawed AI was impossible to work around. After the bans of Critical-hit capability and Explosive perfect shield, trainers began to teach their amiibo to use jabs and tilts instead of teaching them to rely solely on their smash attacks. As a result, Sonic’s viability increased dramatically, and in today’s metagame, he’s a solid contender who can work wonders in the right hands. 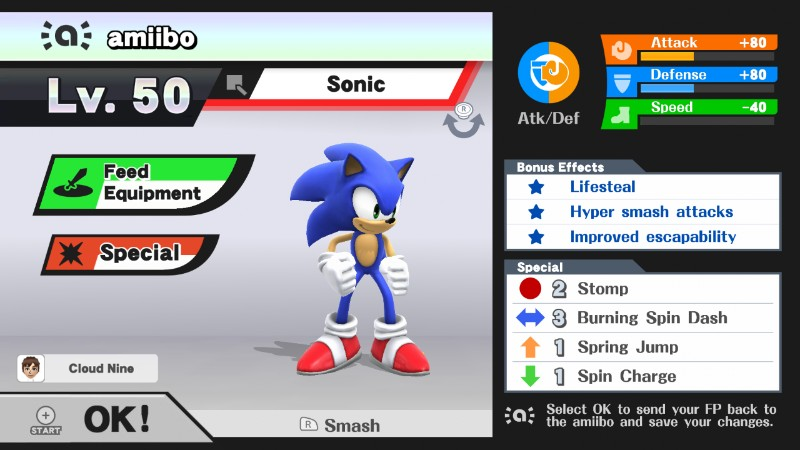 Stomp: This is a custom move version of Sonic’s neutral special, Homing Attack. Stomp rises before quickly falling to damage opponents. It also has a meteor effect. As mentioned before, Sonic uses an ineffective combo – up throw to Homing Attack – setting his neutral special to Stomp will help prevent him from using it. Burning Spin Dash: This is a custom move version of Sonic’s side special, Spin Dash. Burning Spin Dash, hence its name, has a fire effect. It’s the superior option because Sonic will often roll off-stage with his side special – if you select Burning Spin Dash, you ensure that he’ll always be able to return to the stage. Neutral options: jab and forward tilt. In the same vein as Link and Pac-Man, Sonic’s jab is very fast and is effective at racking up a lot of damage in a short span of time. His jab is his most reliable neutral option, but his forward tilt is another useful attack that can be used as well. Main KO moves: forward smash. Forward smash is Sonic’s most reliable KO option thanks to its power and speed. It should be your go-to kill option during your training sessions. Moves to avoid: forward aerial, neutral special, side special, and down special. At some point, your Sonic will likely become addicted to his forward aerial. No one knows why he uses it so often, but he does. Try not to get hit by Sonic’s forward aerial, and attack him when he uses it. If Sonic uses any of his special moves during battle, he’s going to be in trouble. They aren’t well suited to an amiibo’s naturally defensive playstyle. The only exception to this rule is his up special – if you use that to recover, you’re fine. Thanks to Blue for compiling Sonic’s information. Images are courtesy of SmashWiki and the official Super Smash Bros. website.